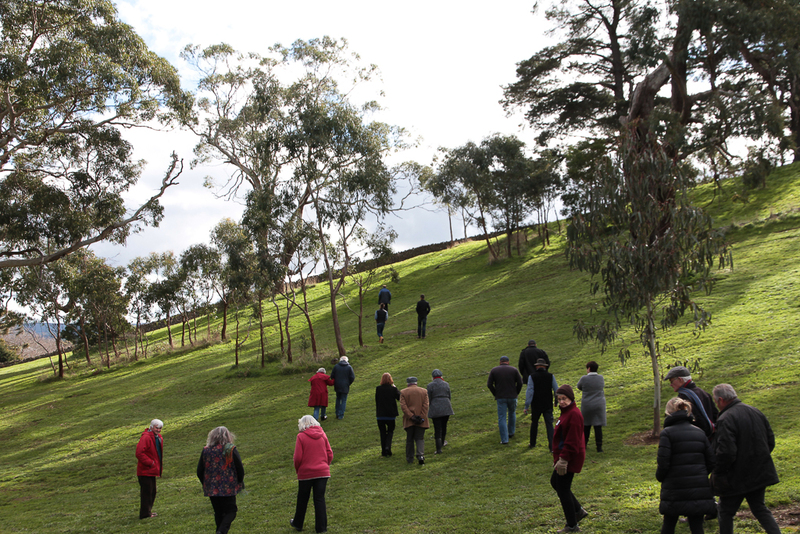 The DSWAA chose Buninyong as the venue for its AGM and first field trip for 2017. 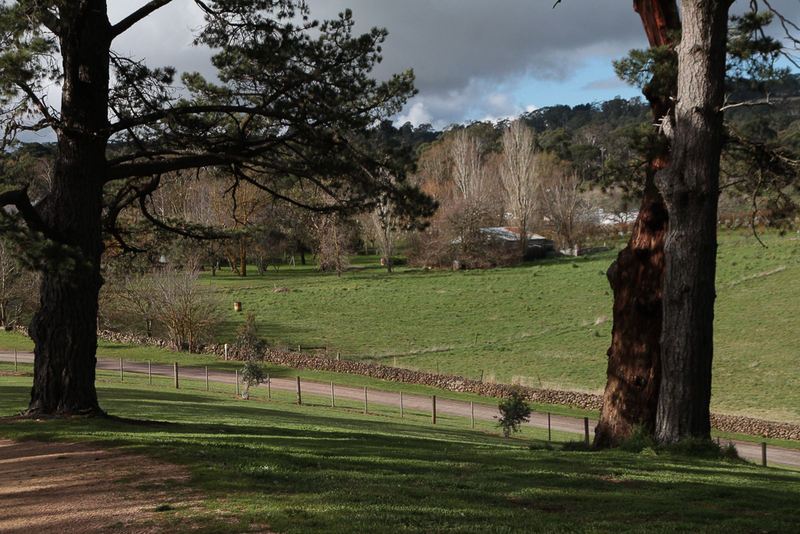 Buninyong township is thirteen kilometres south of Ballarat and sits on the south-west side of Mount Buninyong. 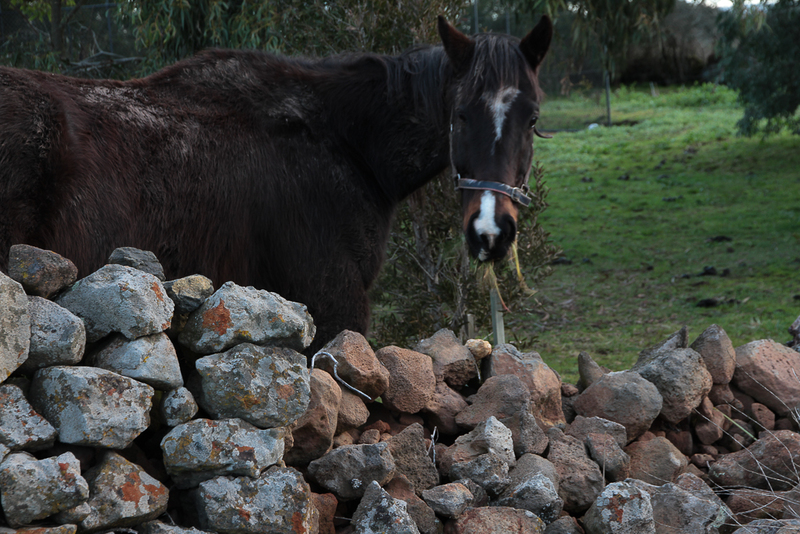 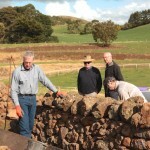 The stone in the Buninyong walls comes from the volcanic activity of Mt. Buninyong, which is part of the vast volcanic plain extending from Melbourne in the east to the South Australian border in the west. 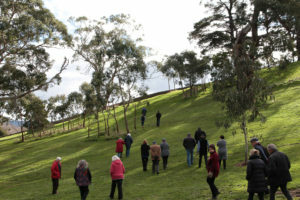 Mt Buninyong was known as Bonang Yowing (man lying with leg raised) by the aboriginal people. 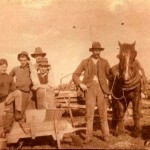 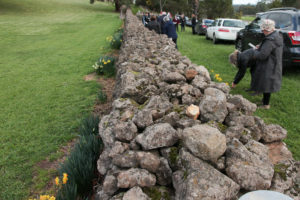 The aboriginal people’s connection with the land and the European settlers’ use of stone are an important part of Buninyong’s history. The Buninyong walls were commissioned by the first European settlers to define boundaries and partition the land. 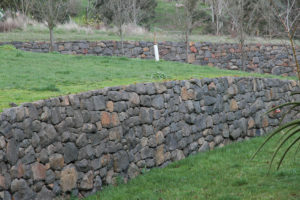 The walls are unique in style because the stone from the Mt Buninyong eruption is relatively small and of uniform size. 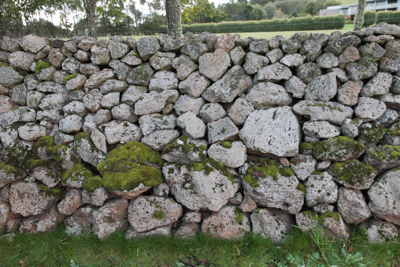 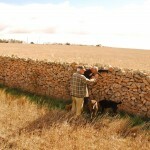 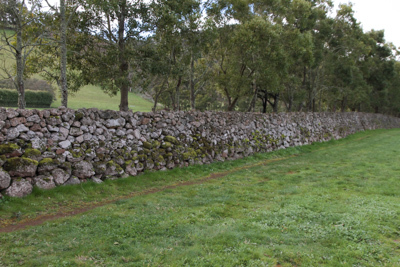 Consequently the walls are wider and lower than many other dry stone walls and generally do not have a copestone. 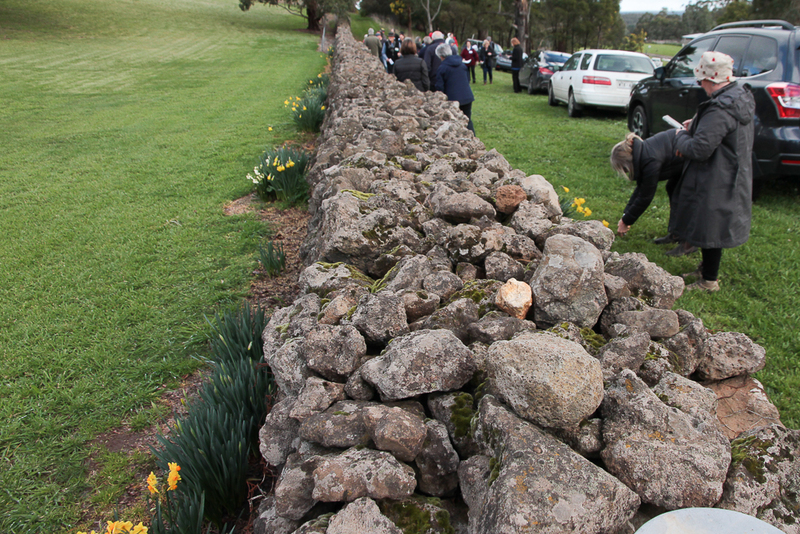 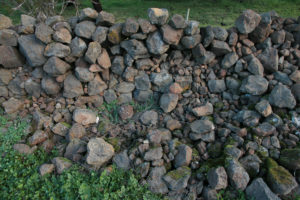 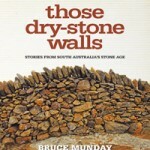 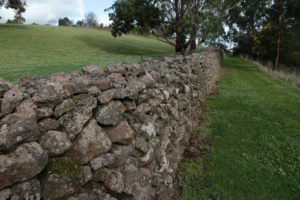 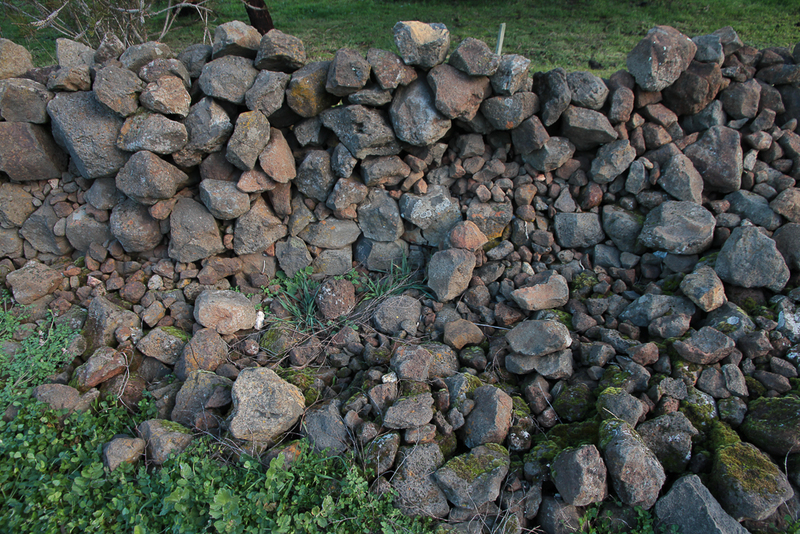 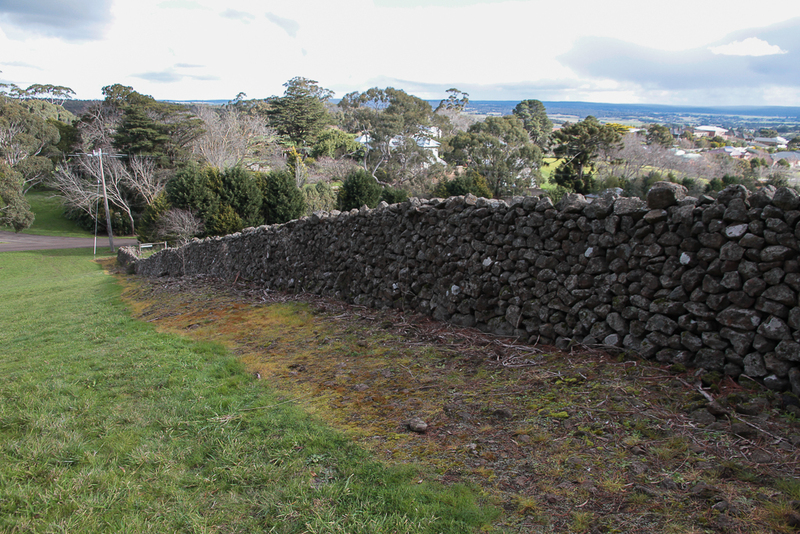 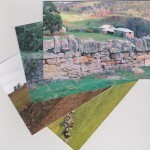 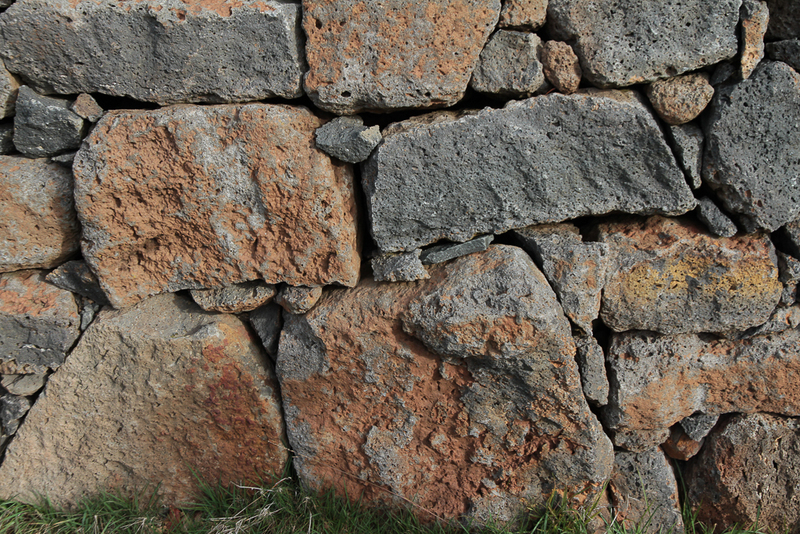 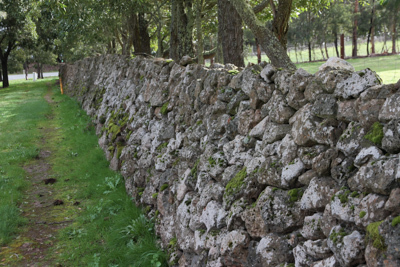 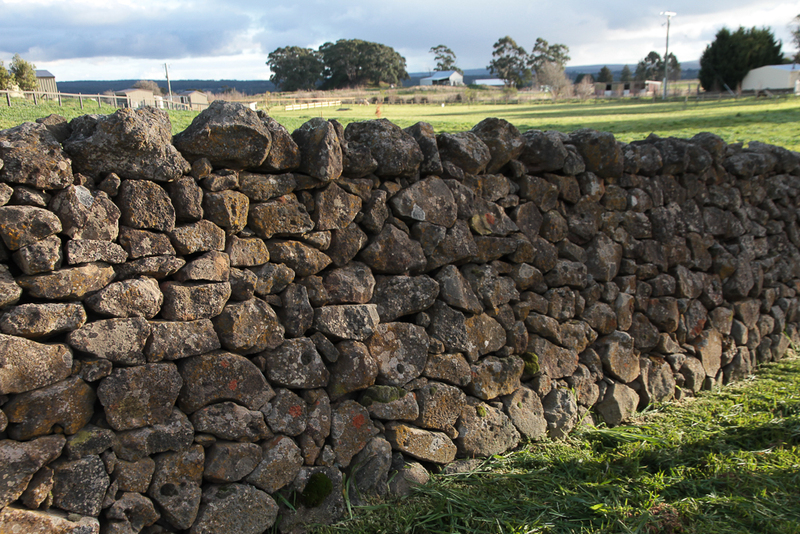 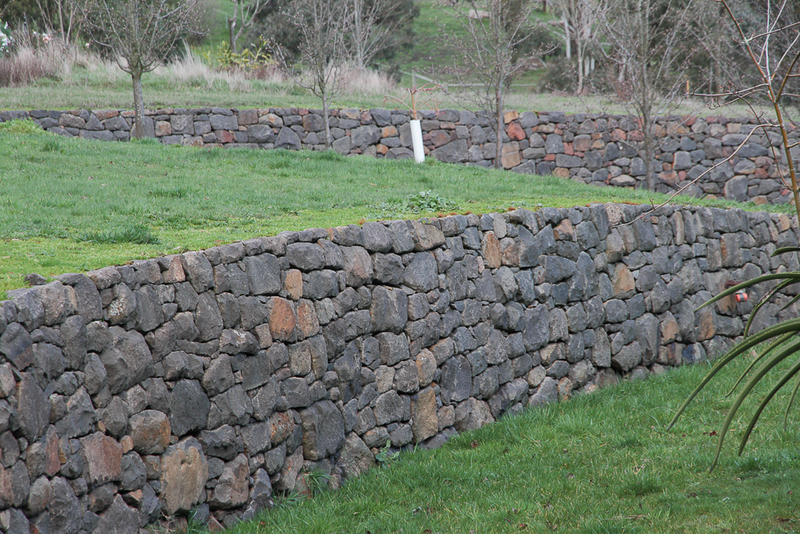 The walls in Buninyong can be defined as ‘consumption dykes’ because, as well as dividing the land, they were often built to consume the vast amount of stone lying in the landscape. 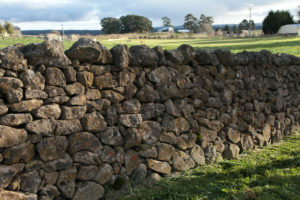 Dry stone walls are dotted over this vast volcanic plain and there is no other township in Victoria like Buninyong, which has such a number of dry stone walls in its urban precincts. 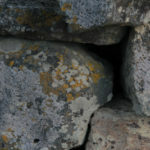 This adds a very special character to the town and needs to be promoted in the community, amongst wall owners, developers and local government. 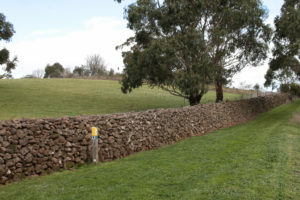 The DSWAA intends working with these groups to ensure the walls in the urban and semi-urban precincts of Buninyong receive appropriate levels of care and recognition. 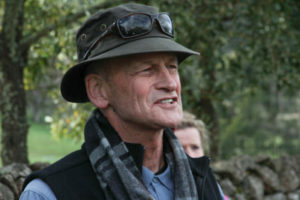 Andrew Miller, DSWAA Secretary and local resident led the field trip. 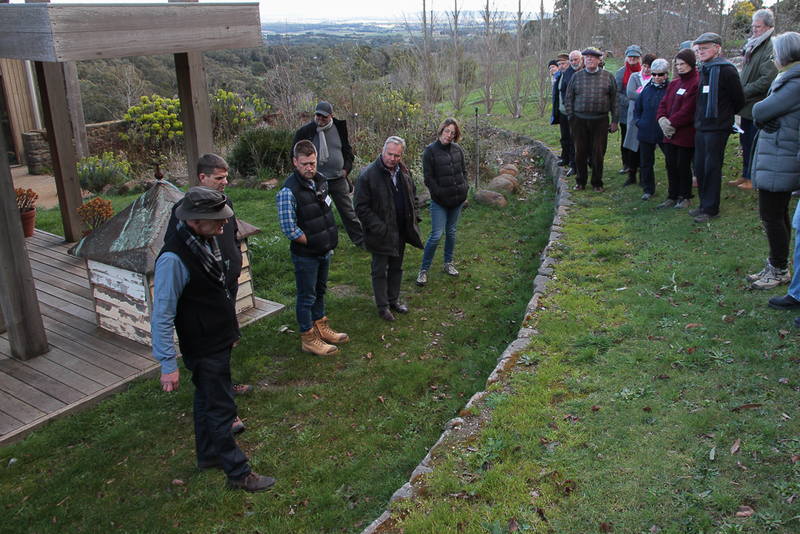 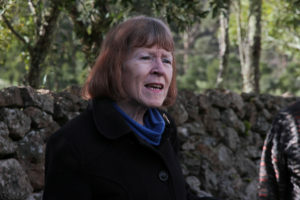 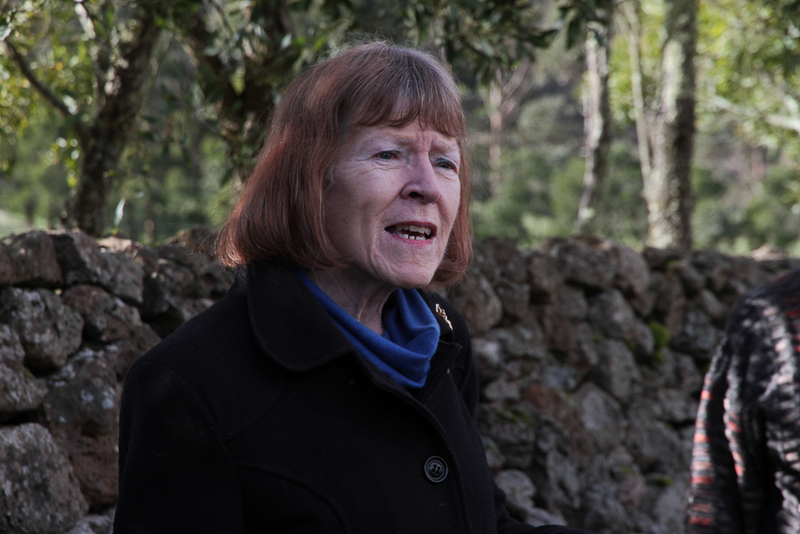 Dr Anne Beggs-Sunter, Lecturer in Australian History at Federation Uni, Ballarat provided insights into the early history of the area. Site 1 Below left is the wall in Yendon Road – fallen into serious disrepair due to blackberries, bracken and low maintenance – and, after a lot of trial and error effort by its new owner, is a fine example of wall restoration. Site 2 This wall in Innes Lane is typical of the Buninyong area and can be termed a ‘consumption dyke’. 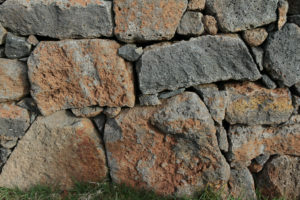 It has relatively small stones of uniform size, no copestones and is built of large proportions to consume the stone lying on the land. 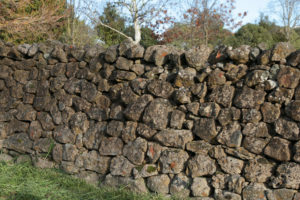 Another fine restoration by the wall owner. 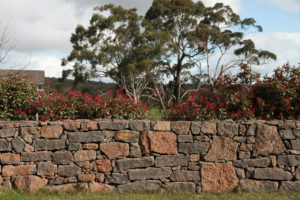 Site 4 This relatively new wall in Hastie Street has been built with non-local, quarried stone. 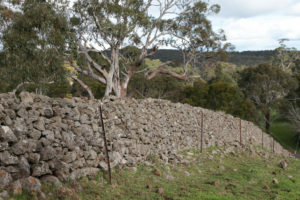 Site 5 Nettingbull Street. Retaining walls in dry stone are challenging to construct and, according to the owner of this wall, the base of this wall extends as deep back into the embankment as the wall is high. 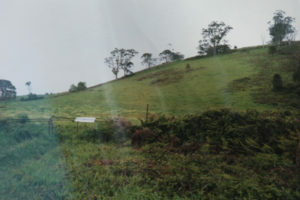 Site 6 Nettingbull Street. 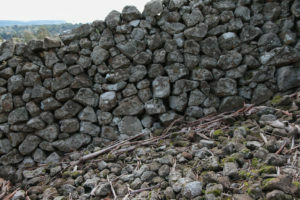 The new owners of this wall were keen to know what to do about a very damaged section. 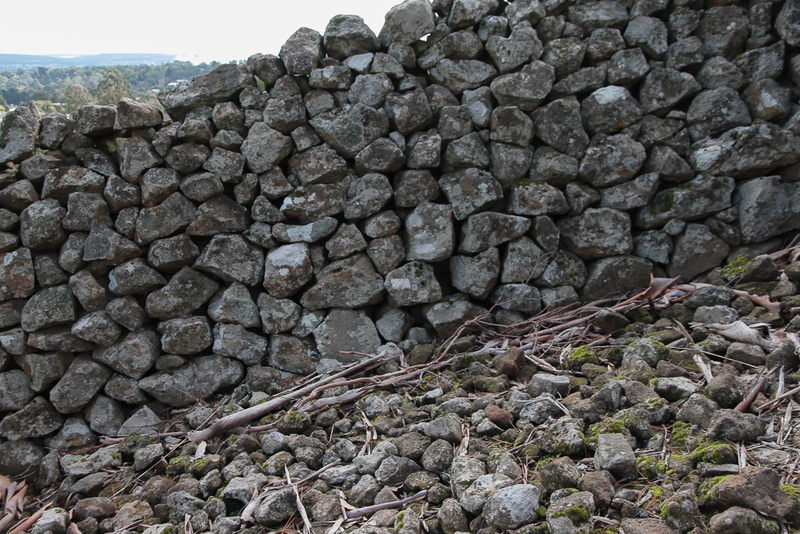 Much of the deterioration has been caused by blackberries, bracken and trees in too close proximity to the wall. 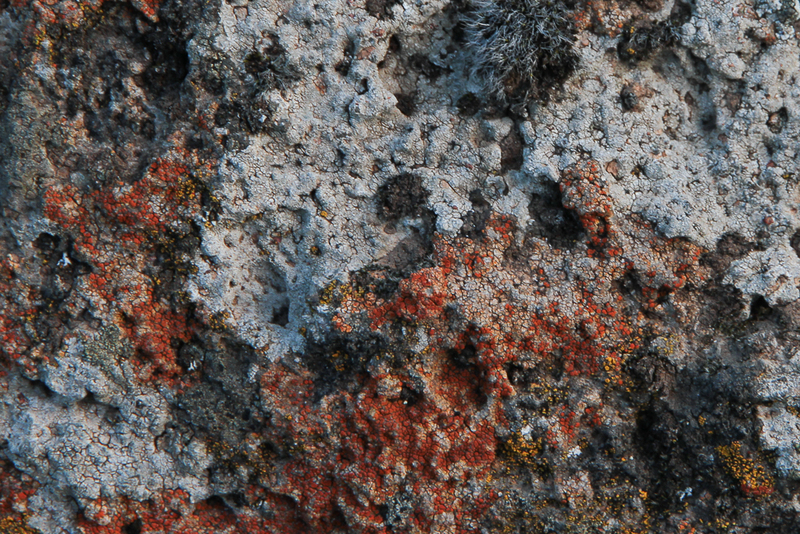 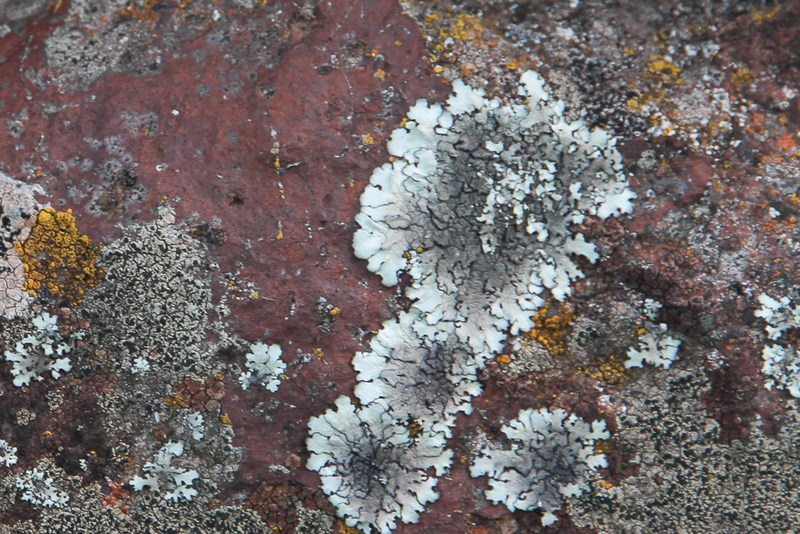 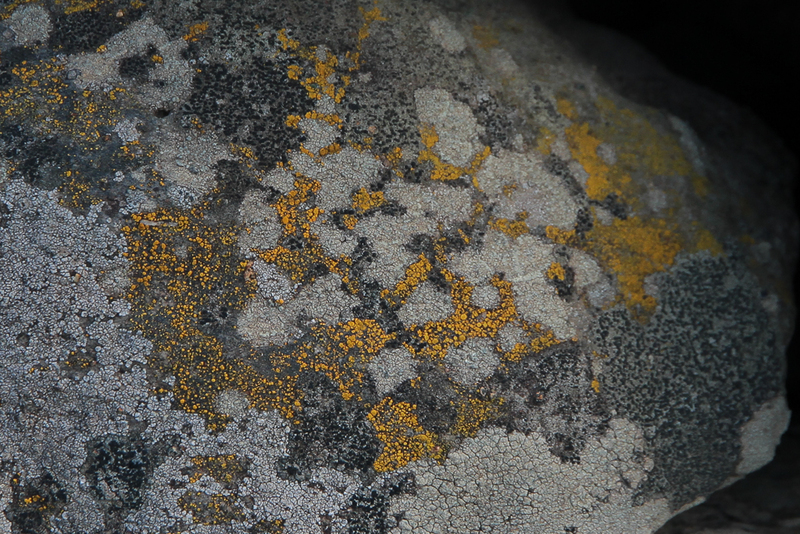 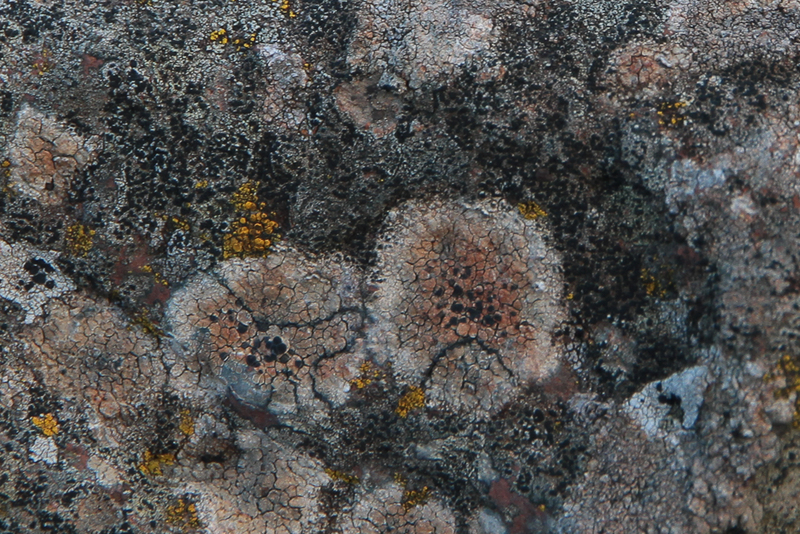 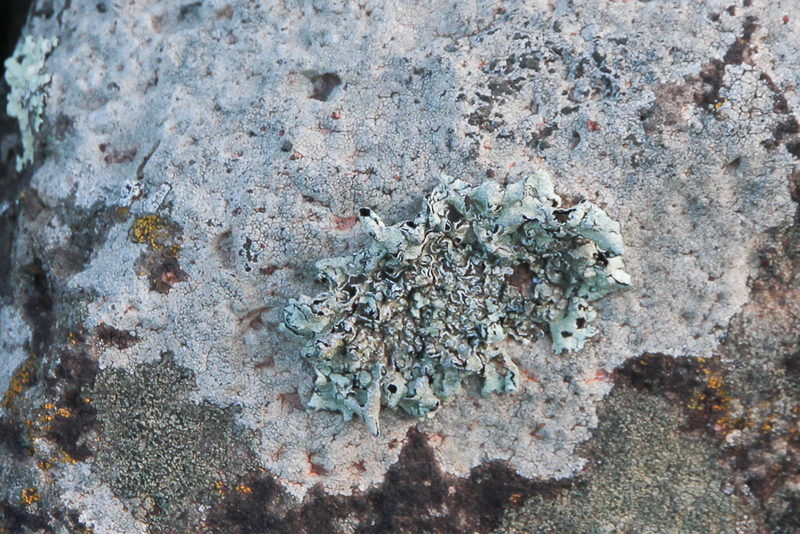 Lichens. 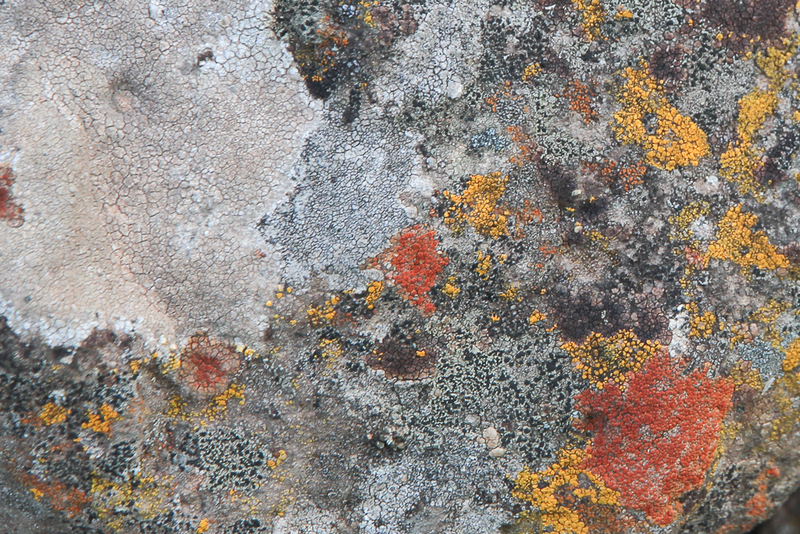 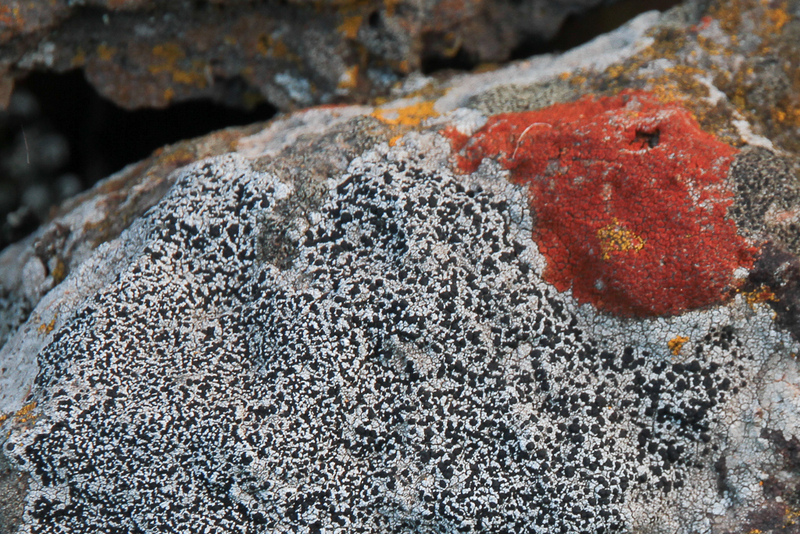 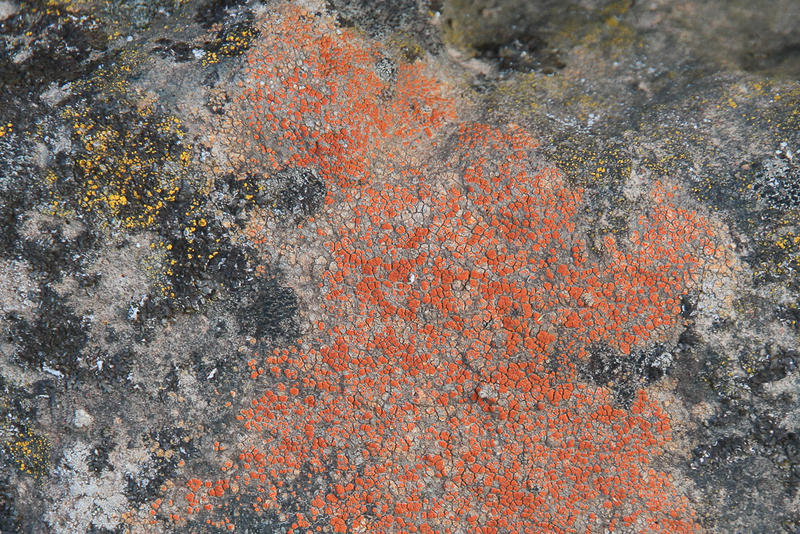 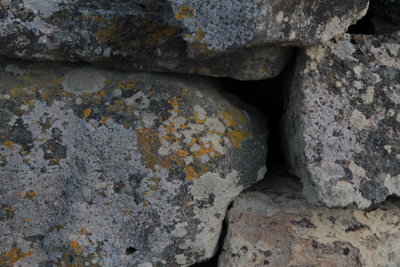 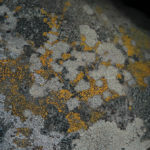 It’s usual to see lichens on dry stone walls, particularly the older ones, but we were surprised at how diverse and colourful they were in Buninyong. 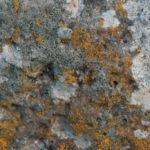 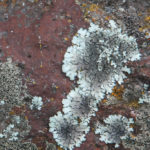 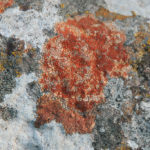 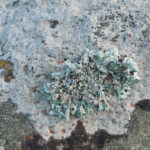 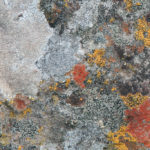 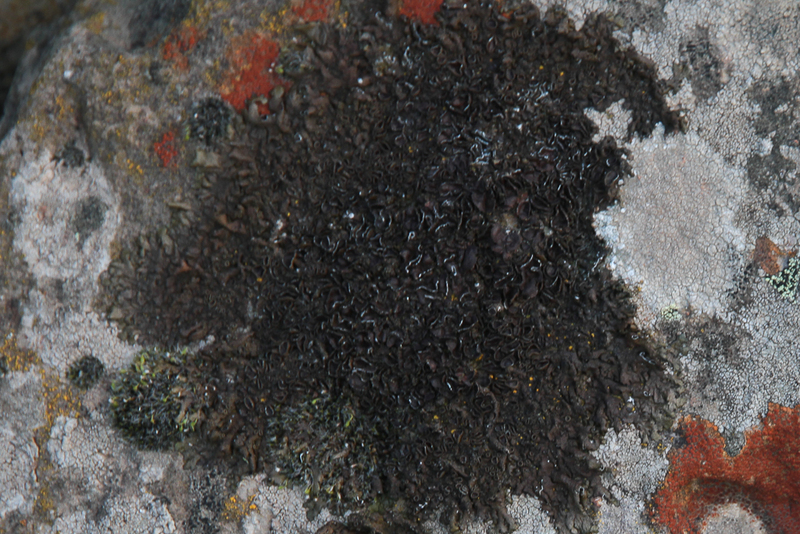 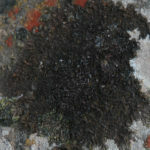 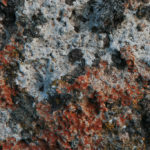 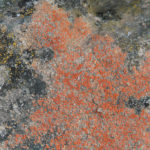 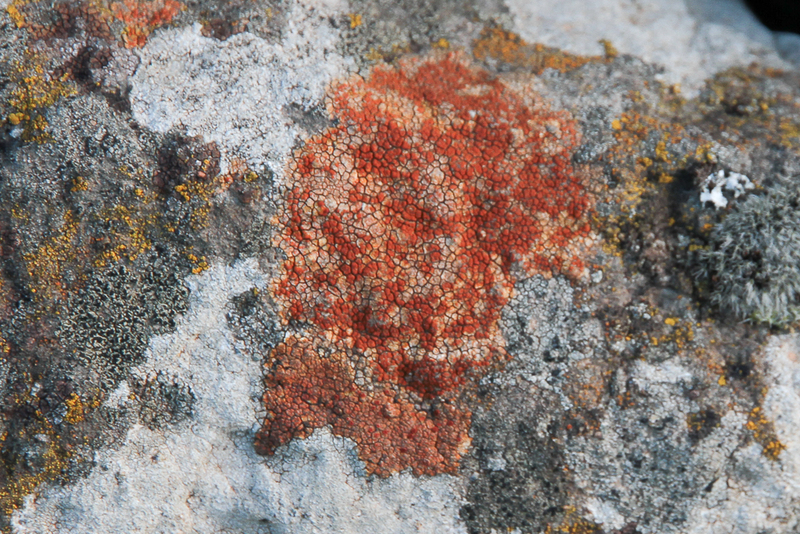 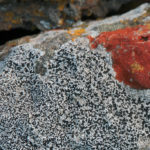 Lichens are slow growing organisms that are a fungus living in a complex symbiotic relationship with an alga or cynobacterium, or both. 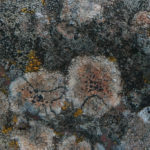 They are very long-lived, soil-forming pioneers, capable of breaking down rocky substrates, releasing minerals and fixing nitrogen. 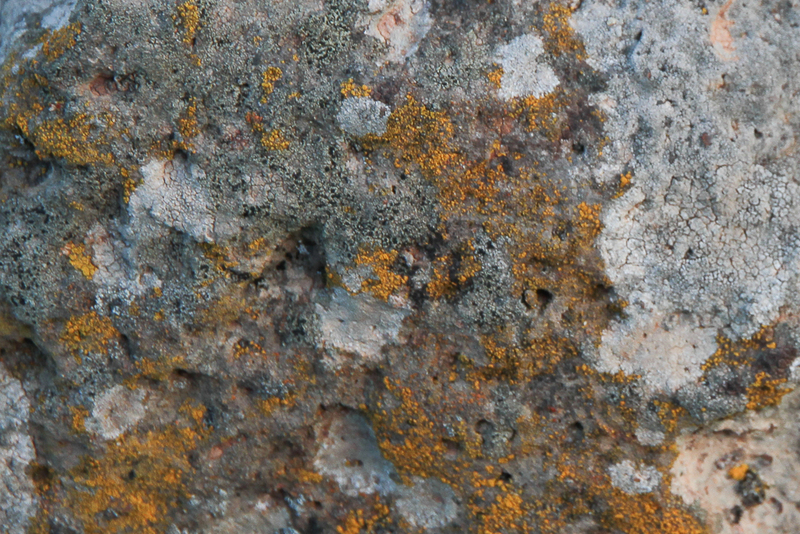 They exist in extreme environments but their presence is also a sign that air quality is good which is why you don’t see them in our polluted cities!